Another PAX is upon us, and as usual, there is SO MUCH going on and I’ll never get to do and see it all. That being said, I have a pretty light schedule this year. PAX actually kicks off for me on Thursday, as I’m leading up a Community Panel at PAXDev! Thursday night is the private Community Managers Group event, which is the best gathering of all the video game Community Managers together in one spot. Friday: I’ll most likely be at the Green Ronin booth, Room 208. I’ll probably be randomly tweeting about Dragon Age RPG demos. I’ve got dice, pre-generated characters, and pencils! You just need to give me 2 hours of your time. Saturday: I have a panel to start the day! Join us at the Raven Theatre for Building & Creating Inclusive Communities in Tabletop/Board Gaming. 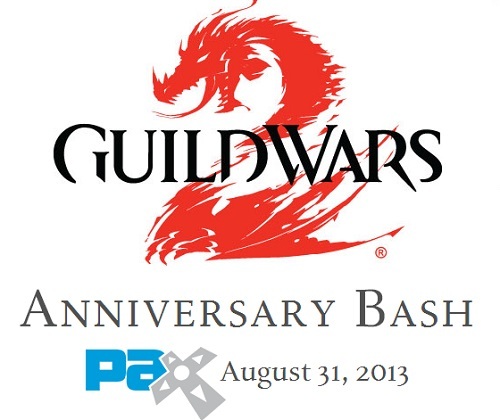 After that, I’ll rush off to the Renaissance Hotel for the Guild Wars 2 Anniversary Bash! It will be a long day, but a FUN day. I’m looking forward to the panel, the PvP tourney, and the party. Mostly, I’m excited to meet a bunch of our players and fans! Sunday: My second PAX Prime panel is on Sunday! I’ll be heading up the Women & Tabletop Gaming panel. After that, I imagine I’ll mosey around and go hit up the Green Ronin booth. Maybe a demo? I have lots of demo stuff with me. I look forward to seeing old friends and meeting new people!